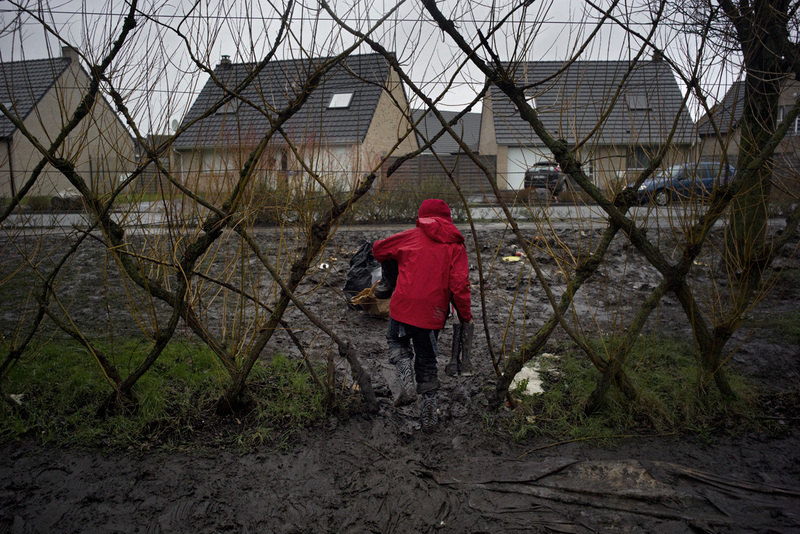 Grande Synthe "jungle", camp for migrants in Grande Synthe, Nord pas de Calais region, France. \n\nA migrant kid is going out of the camp to bring a pair of boot to his older brother who awaits to enter the camp. The muddy ground forces anyone who wants to walk in to use boots.